Rikke Orum and Thomas Thode live on Samso. The Danish island is famous for fighting climate change by promoting renewable energies and a sustainable way of life. The couple decided to move with their seven children from Norway to an old farmhouse on Samso because the island matched their eco-friendly ideals. Rikke Orum: "We changed bit by bit. We took all the things we felt were not adding value to our life, and we took them away, such as for example flying. Or, we live on a small island, our car did not add much value (so we do not have a car any longer). And then: lots of meat in our food did not add value, so we took it away (and we eat less meat). We make some meat here with the animals we have on the farm." Thomas Thode: "We want to eat meat that we know how it was grown and how the farming went on. Our pig lives freely, with a lot of grass to plough with the snout, and the sheep live outside all around the year, because we have found a breed that can live outside all year round. We have ducks roaming freely." 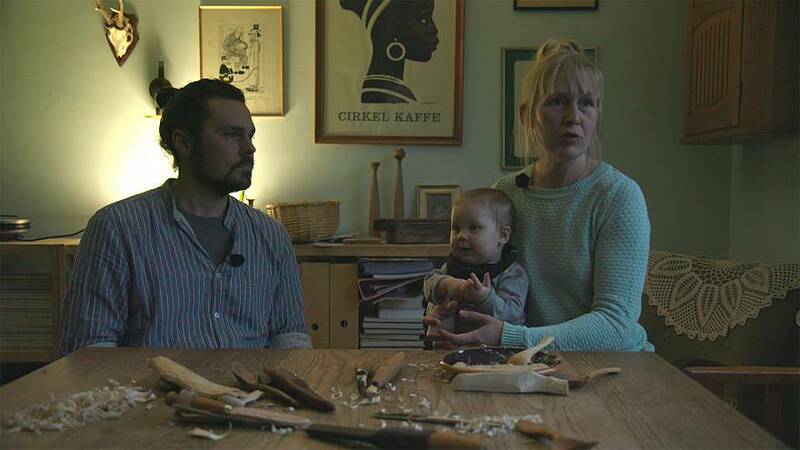 Rikke Orum: "When consuming less we do not need to earn a lot of money, so we can spend the time we would have spend working, with our children instead, in our family, and that is a very big value to us." Thomas Thode: "The kids participate when we use our land, so they see how we do it and we teach our kids that carrots do not come from the supermarket, they come from the soil. And good carrots come from good soil that has been treated well, the same with the animals. If you feed the animals with good food then you will have healthy animals and tasty animals and if it is good for the animals and good for the soil, then it is good for us. Our way of growing reduces the CO2 content of the atmosphere." Rikke Orum: "It is just important to be happy." Thomas Thode: "When you buy groceries in your supermarket, they have been transported, even if you buy Danish goods in Denmark, they've been transported from where they have been produced to one warehouse, then to another warehouse and then it goes to the shop. If you buy locally, go to the local farmer and buy food then you only transport it from the farmer to your home. And if everyone did that, we could save a lot of CO2 emissions. I think less transport is a very big point in sustainable agriculture, but also the way we could treat our soil to build more organic matter in the soil. If everyone did that and if we increased organic matter in the soil by just one percent on all agricultural land of the planet it would have a huge impact on the level of CO2 in our atmosphere. When we get better soil and better food, we get a better planet too."